The Saturday dawned wet and windy, but I set off gamely for a bit of a wander around the centre prior to meeting Razvan Stoenescu, author of the Vin2 blog and organiser of Monday evening’s #winelover hangout. Razvan had offered to take me on a tour of a couple of wine bars in the evening. Always glad to have the insight and knowledge of a local, I had quickly agreed. After a few hours of sightseeing in the blustery rain, discovering the historic town centre and the ‘ostentatious’ avenues and People’s Palace (now housing the Parliament and various other governmental bodies) built by Communist dictator Nicolae Ceacescu, and taking a look around the fascinating Bucharest Historical Museum, I headed back to the hotel to try to make contact with Razvan. This had proved quite difficult, as my phone had decided not to register itself automatically on the local network as is usually the case when crossing into another European country. 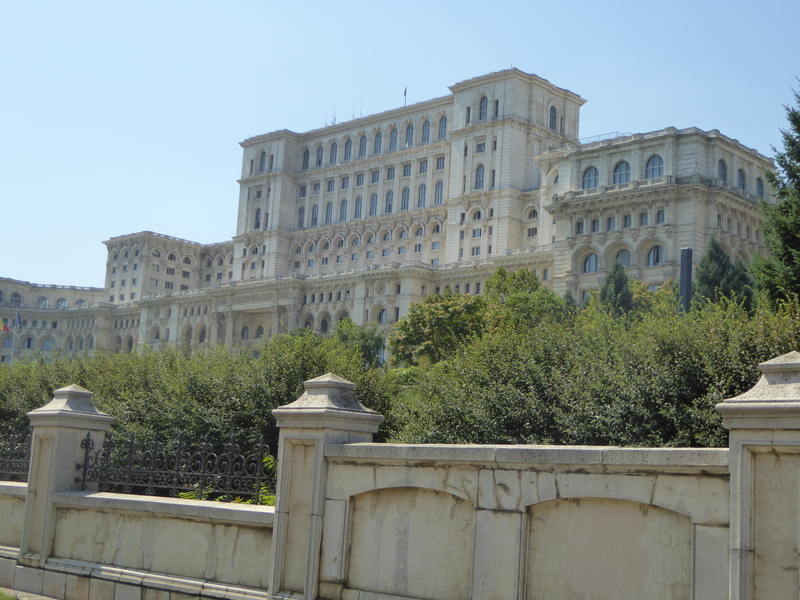 Anyway, finally I manage to speak to Razvan via the hotel reception and half an hour later we were heading off into the northern part of Bucharest on the quest for Romanian wine. 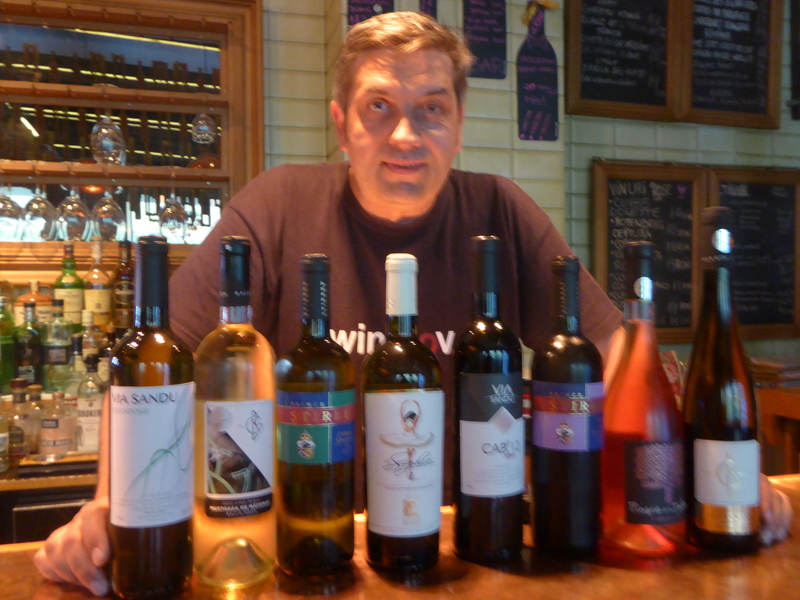 Our first port of call was Vinoteca Mea, a specialist wine shop and wine bar, where I was surprised to see the range of non-Romanian wines they had on offer, including some quite good Hungarian ones, including from Somló. I am sure this situation is not reflected in Hungary, where you rarely see Romanian wines on the shelves. 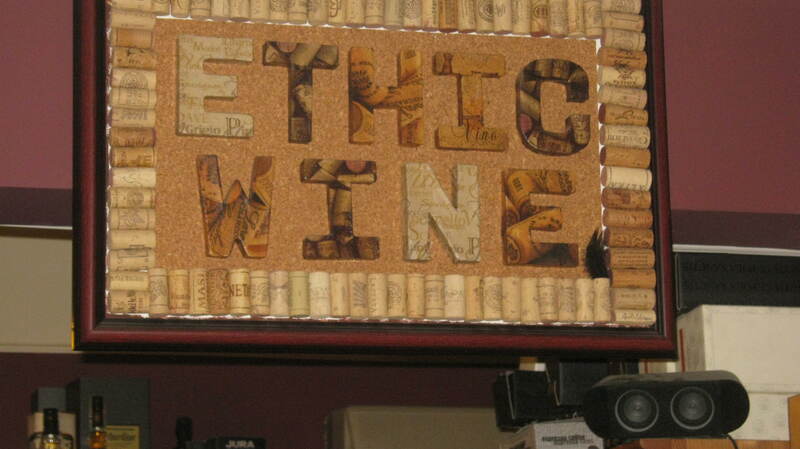 Here we tried several wines. First up, a Fetească Regala 2013 (Királyleanyka in Hungary) from the Crama Ratesti winery. A fresh elegant wine with exotic fruit and some floral notes. Flavours of ripe apple, stone fruits, some stoniness, and a slightly bitter finish. Our next wine was a Crămposie Selecţionată 2013 from the Crama Cepari winer y in south Romania. A nutty, oaky wine with high acidity, with flavours of pear, mandarine and ripe apple. Warming alcohol. 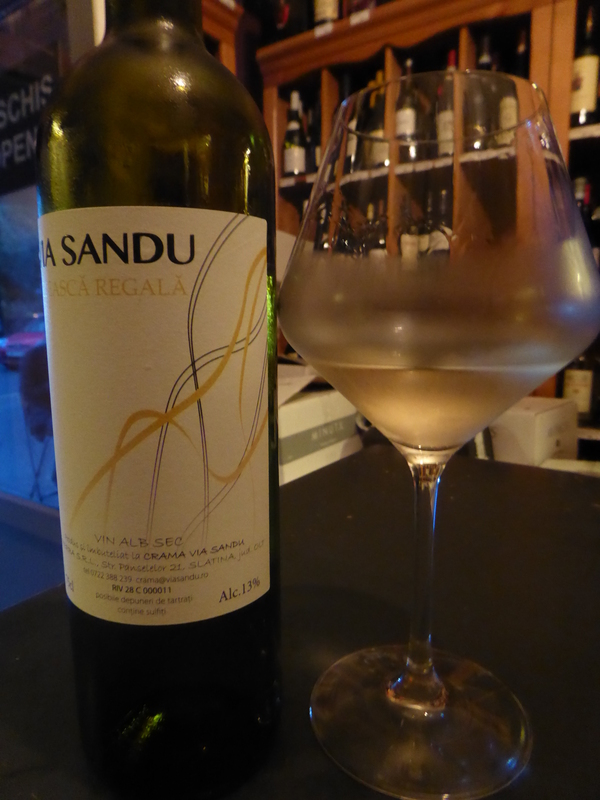 Moving on to Ethic Wine, a wine shop just round the corner, we tried a further Feteasca Regala 2013, this time from Via Sandu. A complex, full-bodied wine with floral, with mineral notes which linger on the finish. We also tried a Fetească Negrea (Fekete Leanyka), but by then we were standing outside with the other patrons of the wine shop, and I’m afraid to say, I didn’t take any notes or even a picture in this case. However, I remember that it was rich and mouth-filling with velvety black fruits. I’m starting to become a big fan of this grape variety. 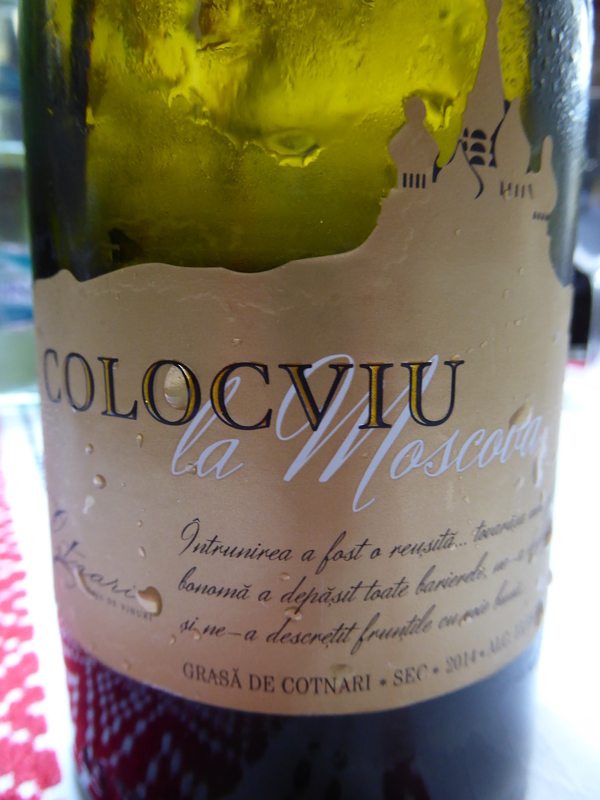 Next day, lunch at the Crama Domnească Restaurant saw us tasting an example of the grape variety dubbed the Romanian Furmint, Grasa de Cotnari – Colocviu at Moscow 2014. A fresh, elegant wine with flavours of hazelnut, green apple and citrus, perhaps a little less bitter on the finish than a Furmint. 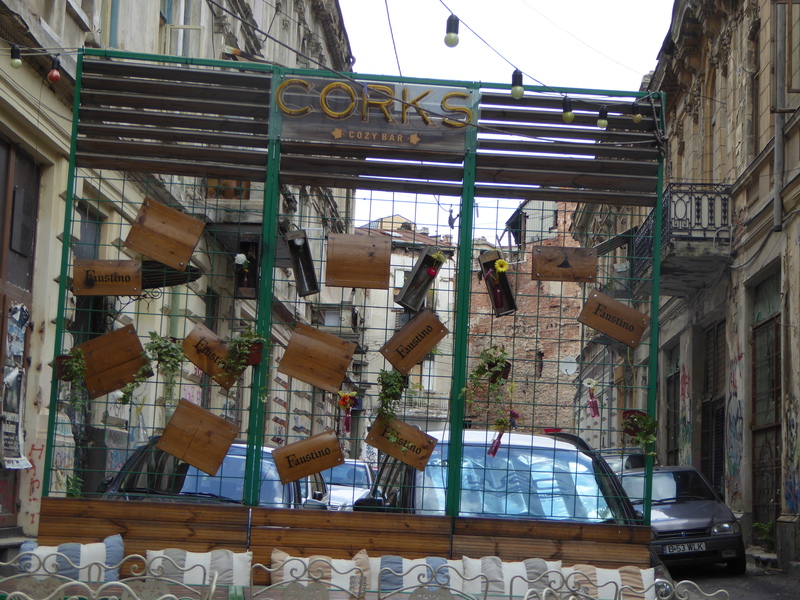 After lunch, we set off to do a bit more wine-tasting at Corks, situated in the historic centre and the only wine bar that appeared to be open that Sunday afternoon, where we tasted our way through a good range of native varieties, a Cabernet from Dragașani and a blend from Moldova. Here I discovered the deliciously different rosé, Busuioaca de Bohotun, made from grapes that are pink-skinned rather than black. We tasted a Via Sandu Crămposie and another Crămposie from Prince Stirbey, a Mustoasa de Măderan from Balla Géza, La Petite Sophie (a blend of Fetească Neagra, Chardonnay and Riesling) from the Moldovan Gitana winery, a Novac, a Furmint and the highlight, in terms of being unusual, the highlight was discovering the abovementioned Busuioaca de Bohotun, here in a blend with Tomaioasa Romaneasca, deliciously, fruity, fragrant and floral. And the main reason for my visit to Bucharest was still to come, the next day’s #winelover hangout, organised by Razvan, when I was looking forward to continuing my Romanian wine odyssey.